In this social media age if your business does not have a social media presences, then you are missing out on capitalising on the huge pool of potential customers/clients. You can increase your reach by setting up social media in these five simple steps. Instagram – is becoming bigger and bigger, with its popularity with the younger generations. The number of monthly Instagram active user is 800 million. Instagram may not be suitable for all business as it’s a photo based app/network. For example if you are running an interior design business, then its great as you can post pictures of your designs. On the other hand, if you run a small business advice website, then you may not have relevant content to post. Google + – There are 111 million profiles made on this network. Although this is not one of the most popular social media platforms, it still may be worth creating a profile. Google has complicated algorithms to create the search results for our questions. If you have an online business, then having a google + account can help with the ranking of your site. LinkedIn – also has a considerable amount of members, the number stands at 467 million. LinkedIn is a great website to network and connect with people from similar industries. It can also help when hiring staff for your small business. 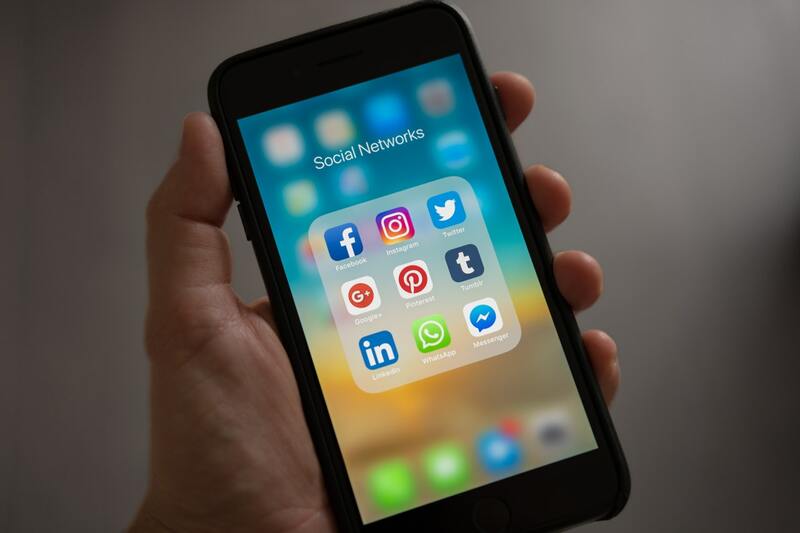 After deciding what you think the most suitable social media platforms are for your business, there are some basics that you will need to follow. First of all, make sure that you use the same email address to set up different profiles. This will ensure that you can avoid any confusion when it comes to setting up/forgetting passwords. You will also need to add a picture, preferably the logo of your business. Your business logo represents your business brand – which needs to be memorable and recognisable. Having your brand logo as profile picture will ensure its recognisably. Additionally, you should keep the usernames the same or as similar as possible. For example, you may choose to have JohnBakes as your twitter handle, Facebook name and Instagram username. Having a correlating names will keep your social media in tune with the business as a whole. Lastly, you will need to also create a short bio describing your business. This is your chance to attract customers, within a short number of words. Also make sure to add in your website URL to direct people to your business site, whether it’s a clothing website or a blog. Once you have set up your social media, it’s time to promote it and get some followers. Initially, ask your family and friends to follow/like and share with them. This will give you a base, and a starting point. If your business is already up and running, then let your customers know about your social media and encourage them to share/like/comment on your posts/profiles. It’s also worth adding your social media widgets to your website. Additionally, if you have business cards/flyers then make sure to add your social media channel names on there, so you can be easily found online. You should also consider asking customers on the content you should post. These are all just starting points of getting your social media up and running. You need to understand that although social media doesn’t require you to spend money on it, unless you want to promote certain things, you will need to invest your time. You need to ensure that you are creating quality content that your audience and following can engage with. Your social media is part of your brand, you should create content that will reflect on that. To have an active engaging social media is the goal, as it will encourage your audience to communicate. You should also make sure to reply to any comments and questions that are left. There are a few different methods of spending time on social media. You can use website such as Hootsuite, as they allow you to create, upload and schedule your content. This will mean that you won’t have to be constantly posting, you can schedule it once a week and it will be posted on your chosen date and time. You could also consider getting help, you can offer internship and get students on board to help you. Interns are great as they will be young students who are consumed with social media, which will mean they likely have a good knowledge of social media. Furthermore, you won’t have to pay them a salary like you would with a full time employee. Building up your social media will take time, you will need to upload quality content on a regular basis to really make the most out of several different platforms. You will really have to put in good amount of effort and time to start seeing results. More and more businesses are starting to realise the benefits of social media. There are millions of people using social media everyday as it has become completely embedded in today’s society. Businesses need to take advantage and capitalise on the worldwide phenomenon that is social media. More on growing your business here and small business marketing. Would your company benefit from using social media?